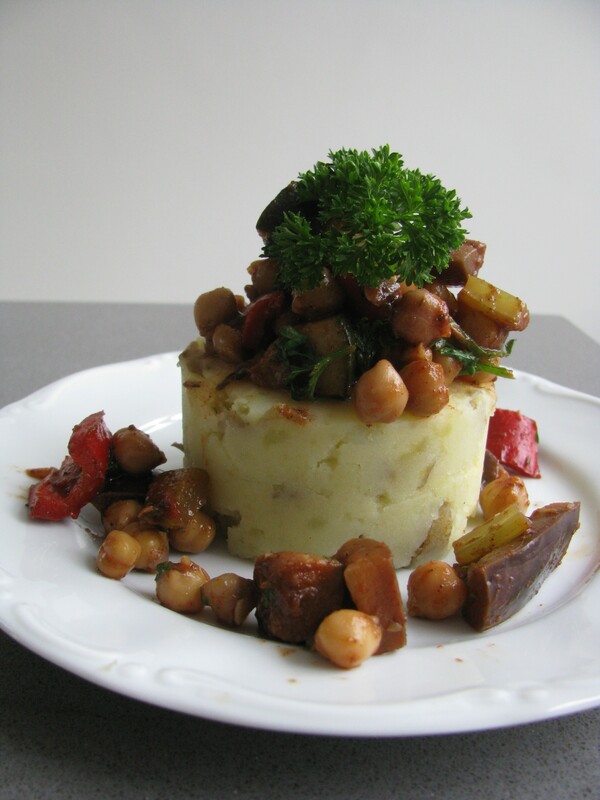 Jerk Chickpeas | Fork off, heart disease! Over at the wonderful Oh She Glows, Angela gave cookbook author Dreena Burton´s jerk chickpeas a go. Just the name alone was enough to entice me so I tried it out. Not bad! What did the husband think? Ended up doing this one tonight instead (pie tomorrow). Very easy and very tasty, I thought. I thought so too! But I would have preferred a bit more sauce to go along with the chickpeas. I just used 1 can – about 2 cups (v. the 2 1/2 in the recipe), and the amount of sauce was pretty good. Hi and welcome to FOHD! Farinata, where have you been all my life?! ?